United Way, the world’s largest non-profit organization, is dedicated to improving the health, education, and financial stability of every person in every community worldwide. Their work relies on the caring power of communities who want to give, advocate, and volunteer to support their goals. 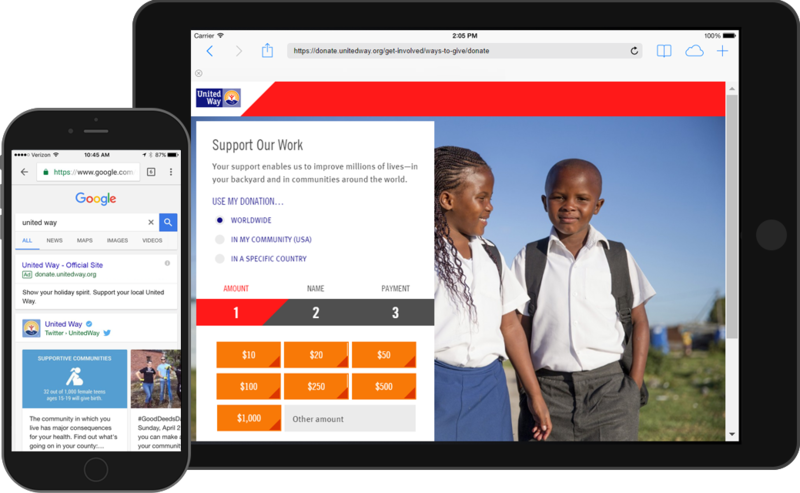 United Way hired 270 Strategies to plan and execute a digital advertising campaign to better leverage that power by maximizing end-of-year donations. Near the end of each year, search engine queries for charitable giving spike. Potential donors are looking for a worthy cause to support with their tax-deductible donations before January 1st. 270’s in-house digital advertising team crafted a multi-platform media plan for search engine advertising to capitalize on that interest, directing primed potential donors to United Way. 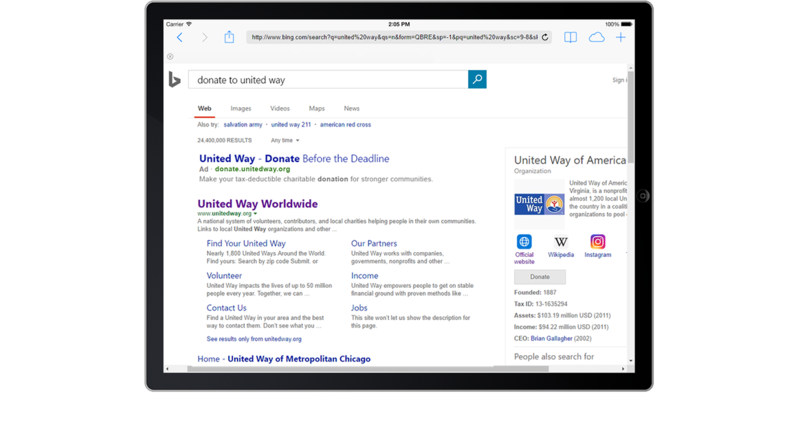 Drawing on our team’s deep expertise in search advertising, we built keyword lists, wrote copy, and installed tracking technologies on United Way’s donation pages. Once the ads were live, we created a daily report demonstrating campaign performance, and used that report to make regular, granular optimizations to bids, budgets, and keywords. 270’s hands-on campaign management and relentless attention to detail paid off: In less than two weeks, we drove nearly 500 donations -- raising United Way more than $9 for every single dollar spent on digital ads -- to support the vital work they do in the process.